Photo by Chris Graythen/Getty Images (File). UAE Team Emirates brass say Fernando Gaviria's potential is unlimited, and as the team's #1 sprinter, he'll have plenty of opportunities. In what’s one of the biggest moves for 2019, Fernando Gaviria will see full support in the top races thanks to his transfer to UAE Team Emirates. Team director Joxean Fernández said there’s no limit to Gaviria’s potential and promises the Colombian will see a full sprint train built up around him going into 2019. Gaviria came on the market following his breakout Tour de France, where he won two stages and wore the yellow jersey. The sponsorship situation at Quick-Step was looking uncertain. 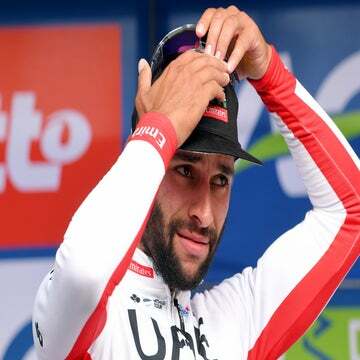 Although team boss Patrick Lefevere eventually brought on a new title sponsor with Deceuninck, Gaviria already had one foot out the door with tantalizing offers from several teams. Fernández, who worked with Quick-Step as a talent scout before joining UAE Team Emirates in 2017, said he quietly worked out details with Lefevere before pursuing Gaviria. More importantly, Gaviria’s switch from Quick-Step to UAE means the Colombian will be his team’s top sprinter for 2019. At Quick-Step, Gaviria was forced to share the calendar with the emergence of Italian Elia Viviani. Despite the presence of UAE’s veteran Alexander Kristoff, Fernández said Gaviria will be the team’s No. 1 sprinter in all the major races next season. Kristoff, 31, has expressed some hopes that he won’t be slotted into a new-look Gaviria train and will still have his own opportunities. Though he admits he’s not the fastest in the bunch, Kristoff can still post some big wins, including a victory on the Champs-Élysées last July in his first Tour stage win since 2014. Fernández said it’s too early to talk about schedules — the team’s sport directors are meeting this week to begin to map out the 2019 racing calendar — but he said there’s plenty of space for everyone to have their chances. 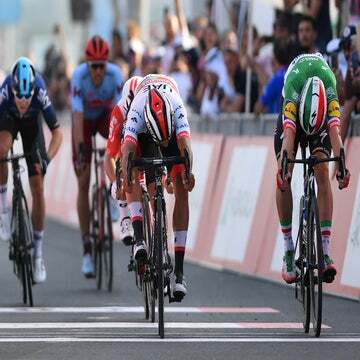 Fernández left no doubt that the Gaviria will play a starring role for the team’s sprint finales. Gaviria, along with compatriot Sergio Henao, is the top name moving to UAE-Emirates for 2019. Following up on Fernández’s scouting reputation, the team also signed five young riders with top potential for the future. The present will be firmly centered on Gaviria.